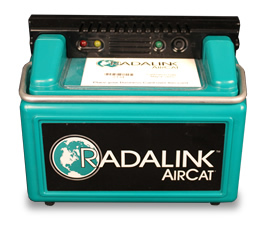 Our radon monitor program delivers your clients guaranteed and certified reports. Why should your inspection business trust us? We treat inspectors like partners! Our licensed inspectors are thriving. We make it easy for property inspectors to do their job. If you’re a an inspector, looking for a full-service radon testing solution, then look no further. If you’re buying or selling a property, then enter a zip code below to find a nearby Radalink licensed inspector. Your clients, your family, and your peace-of-mind are the best reasons to trust our programs. Home inspectors know that our certified results and top-notch equipment guarantee that the people they value the most are being accurately informed about their risk of radon exposure. Watch this video. Find training events, educational materials, and more. This section is designed to provide general radon information to interested individuals, to offer support information to our affiliates, and to keep radon inspectors informed about upcoming certification and continuing education opportunities.